We have today published a new report, which shows the impact our Hubs in Middlesbrough, Bradford and Peterborough have had on improving educational outcomes from the early years to secondary schools since 2012. 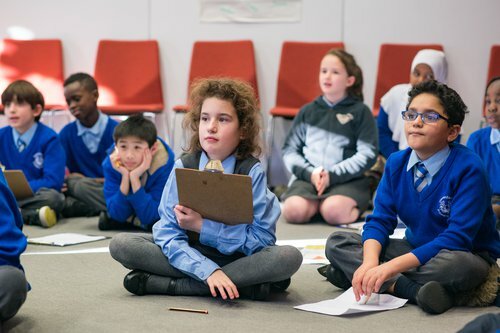 National Literacy Trust Hubs bring together a diverse range of local partners to reach the children and families most in need of support and improve literacy levels through innovative and practical programming, community action and campaigning. Partnerships include local authorities, public health, businesses, community groups and voluntary organisations with tailored approaches to meet local literacy needs. In Middlesbrough, we have improved school readiness, with more children now achieving a Good Level of Development at the end of the EYFS, closing the gap with the national average from 22.6 percentage points in 2013 to 6.27 percentage points in 2015. In Bradford, attitudes towards writing have improved, with more children and young people aged 11-14 write every day or a few times a week outside of school (52.6%), compared to their peers regionally (39.7%) and nationally (44.1%). And in Peterborough the number of KS2 pupils who enjoy reading has increased by 23.4% between 2014 and 2015, rising from 59.8% in 2014 to 73.8% in 2015. The report, National Literacy Trust Hubs: a place based response to low literacy, outlines the Hub's five pillar model, shares case studies from each of our three Hubs and highlights the impact of our work in Middlesbrough, Peterborough and Bradford. If you are a business in one of our Hub areas, find out how you can get involved in tackling literacy levels in your area by making your own local business promise.